If you plan on being in Central FL and are interested in learning more about the manufactured homes that are for sale at Lake Griffin Harbor in Leesburg, why not sign up for a guided tour of our community? We gladly provide tours seven days a week in an effort to give prospective residents the opportunity to see firsthand all of the great things that our community has to offer to retirees. Whether you’re actively looking to buy or just tentatively exploring your options, we think that you will be pleasantly surprised not just by the quality of our homes but by the welcoming nature of our community. 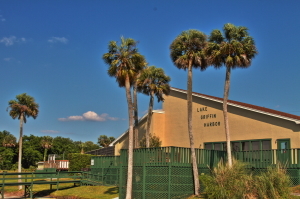 Lake Griffin Harbor is more than just a place to live … it’s a lifestyle. We offer cozy manufactured homes at affordable prices, as well as lots of resort-style amenities that make living here truly like living in a retirement paradise. The manufactured homes at Lake Griffin Harbor are set among a backdrop of beautiful natural surroundings, friendly neighbors, and magnificent amenities. By, why take our word for it? We cordially invite you to contact us today to schedule a visit to our community in Leesburg, FL. You can also click here for a current listing of our manufactured homes for sale.